Company Two Fire prides itself in working with fire departments all over the world. We build relationships with these departments by providing a service that is surpassed by no other used fire truck dealer. Here at Company Two, we know that your fire department deserves to get the most for its used fire trucks, and in the process replacing that used apparatus with a better piece of equipment all while having the easiest buying experience possible. Let Company Two Fire serve your department! Our process is very simple, just download our Contact Sheet and complete. We need to know whether you are buying or selling and the specs you want in the truck your looking for. Fax or email it back to us at info@companytwofire.com. Get started today! Company Two offers some of the finest pre-owned Fire Apparatus in the country with 120 point inspections and door to door service. Ask us about our travel reimbursement policy on all Company Two Fire owned trucks. We can purchase your trucks on any time line hassle free. 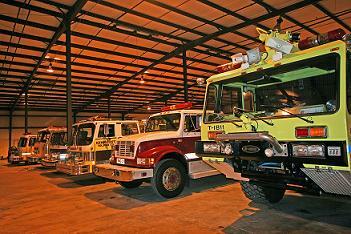 Guaranteeing your department a fare price for its used Fire Apparatus. Or we can Broker your departments used fire truck. Visit our Discount Brokerage page for details! We also offer guaranteed trade in prices with door-to-door service when purchasing a Company Two used fire truck. Want to sell your truck? List it with us for free! Company Two Fire is proud to announce that we have moved into our new facility located in Varnville, South Carolina. We now have 40,000 square feet of indoor space, so all of our inventory is housed inside and out of the elements. With our new facility we are able to take care of all your fire apparatus needs!